In a very real sense the New Testament is the answer to this question. Thus, the best and fullest answer to the question who is Jesus Christ is found through careful study of the four Gospels and the other New Testament writings. The brief description that follows is based upon the New Testament writings, which we believe to be God’s true revelation to mankind. Jesus Christ is the founder of the Christian Religion. He was a Jew, born in Bethlehem, Judea in approximately 4 B.C. and died in Jerusalem in 30 A.D. Other than briefly describing His birth and one incident at age 12, the New Testament focuses upon his three-year earthly rabbinical ministry, begun at age 30. Today nearly two billion people profess allegiance to Jesus Christ. The name “Jesus” was the name that God through the angel Gabriel gave him. The name means “The Lord saves.” “Christ” (from the Greek word christos, which in turn is a translation of the Hebrew word mashiyach, i.e., Messiah), means “the anointed one.” This is a title, rather than a name. It means that Christ is God’s long promised Savior. Jesus was fully human, in every sense of the word. He had a real body, soul, and will. He was born, was nursed, took his first steps, passed through adolescence, ate, slept, bathed, had emotions, cried, laughed, felt pain, was tempted to do evil, and died everything that makes one human, Jesus lived it. However, Jesus was also a completely unique man. His conception and birth was unique, for He had no human father. He was miraculously conceived by the Holy Spirit within Mary the Virgin (Read Matthew 1:18-25; Luke 1:26-38; 2:1-20). His life was unique, for though he was tempted, He never sinned. He obeyed God and kept His commandments perfectly. He was the only righteous man who ever lived. His was a life of perfect love. The days of his earthly ministry were filled with miracles of healing, help, and even resurrection. All that he did, he did to help others (Read 2 Corinthians 5:21; Hebrews 4:15-16; Acts 10:38; the four Gospels). His teaching was unique. Those who heard him were amazed at his teaching because of its power and truthfulness. The heart of his teaching was proclaiming the gospel (good news) of God (Read Mark 1; John 7:14-17; 45-46). His death was unique. He was crucified as a rebel outside the walls of Jerusalem in 30 A.D. But in reality his death was planned by God. His death was the atoning sacrifice for the sins of the whole world, including yours. His suffering and death were payment for our sins. He suffered God’s punishment that we deserved. By his death he became the Savior of the world. By his death our sins are totally forgiven when we believe that he died for us personally (Acts 2:23; Romans 3:23- 25; 4:25; 5:6-10; 1 Corinthians 15:3; Galatians 3:13; Colossians 1:19-23; Hebrews 7:26-27; 9:25- 28; 10:10-14; 1 Peter 2:24; 3:18; 1 John 1:7; 2:1-2). His resurrection was unique. Three days after his death, on the first day of the week, Jesus was resurrected, came back to life never to die again. More than 500 eyewitnesses, including his closest followers, the disciples, saw him many times after he had been raised. By his resurrection he defeated death and offers resurrection and everlasting life to all who believe in him. Before He ascended He commanded His apostles to make disciples of all nations by baptism and by teaching the doctrine that Jesus had taught. This doctrine He entrusted to His apostles who in turn entrusted it to their successors by committing it to writing in the New Testament documents. After 40 days he ascended to the right hand of God the Father. He will return on the clouds to judge the living and the dead on the last day. Jesus Christ lives today, directing and blessing His Church through the Holy Spirit wherever the Gospel is purely preached the Sacraments rightly administered (Read 1 Corinthians 15:1-8; Matthew 28; Mark 16; Luke 24; John 20-21; Acts 1:1- 14; Matthew 28:16-20; John 20:19-23; Matthew 25:31-46). Jesus’ unique birth, life, death, and resurrection proved that He was who He and the Scriptures claimed him to be, the true Son of God. As God’s Son, He existed from eternity and was true God, equal to His Father in every way. 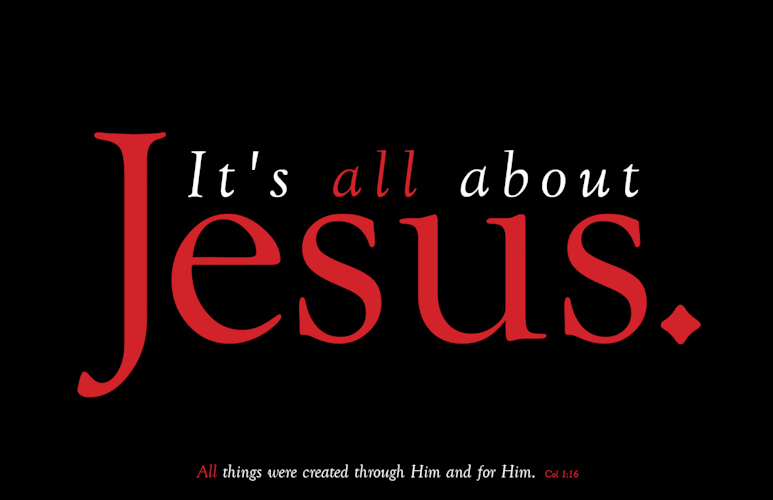 It was through Him,the Son of God, that God created all things. In Mary’s womb, the Son of God was united with a human nature and from that point on Jesus Christ was true man and true God in one Person. Only insofar as He was God did His death on the cross have sufficient worth to take away the sins of the world (Read John 1:1-3; 5:18; 8:58; 10:30-33; 20:28; Romans 9:5; Colossians 2:9; Titus 2:13; Hebrews 1:3; 2 Peter 1:1; 1 John 5:20; Luke 1:26-38). Jesus died for everyone. But only those who believe personally that Jesus’ death freely gives them forgiveness and everlasting life will benefit from Christ’s death. All others will be lost in hell forever. All those who put their trust in their good works, their own piety and love, their own track record instead of, or in addition to, Jesus’ atoning life and death will be lost (John 3:14-18; Mark 16:16; Romans 3:28; 4:1-5; 10:1-13; Galatians 2:16, 21; Ephesians 2:8-10). We invite you to meet Jesus Christ. However, He is found where He has promised to be. Where His body, the Church, gathers around His Word and Sacrament. Where His Word is read and heard.